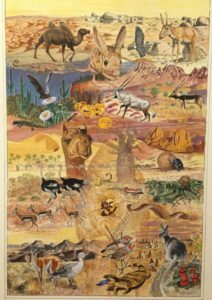 The Volcano Art Center is hosting a unique studio sale of Big Island artist John D. Dawson at the Niaulani Campus in Volcano Village from September 14-16th. 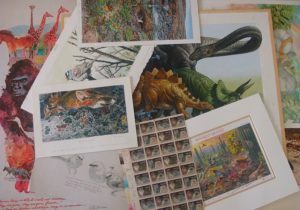 The sale includes original acrylic and watercolor paintings, rough sketches, and pen and ink drawings from decades of work as a professional illustrator. 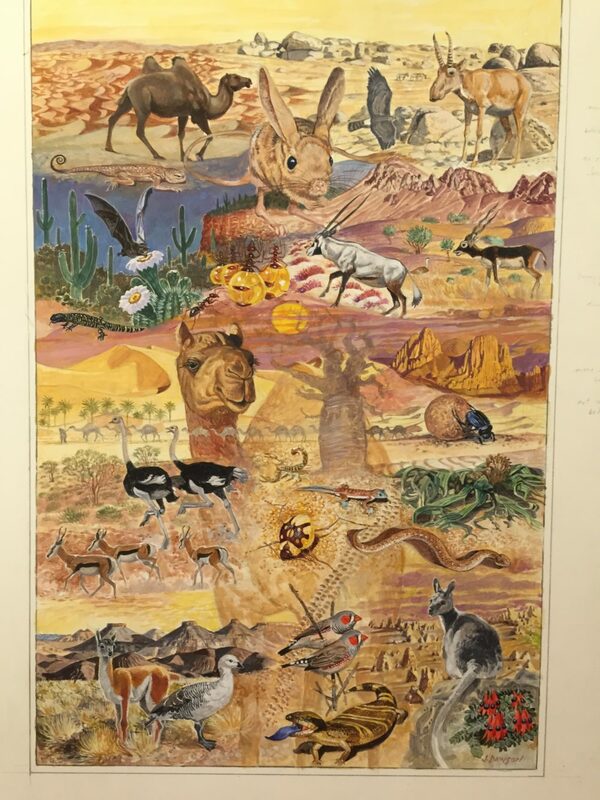 Dawson is well known for his paintings and illustrations for national publications including the National Park Service, United States Postal Service, National Geographic Society, National Wildlife Federation, and Audubon Society. 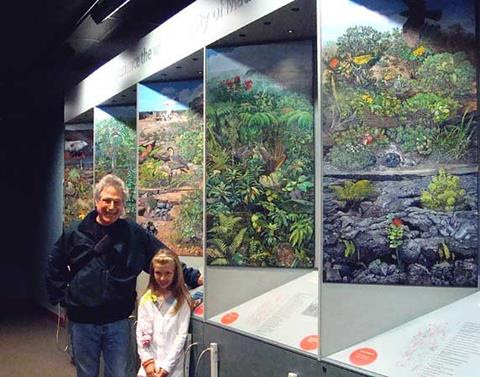 Anyone who has entered Hawaiʻi Volcanoes National Park has encountered Dawson’s artwork. It is included within the maps provided to visitors, as well as the stunning educational display inside the Kilauea Visitor Center. 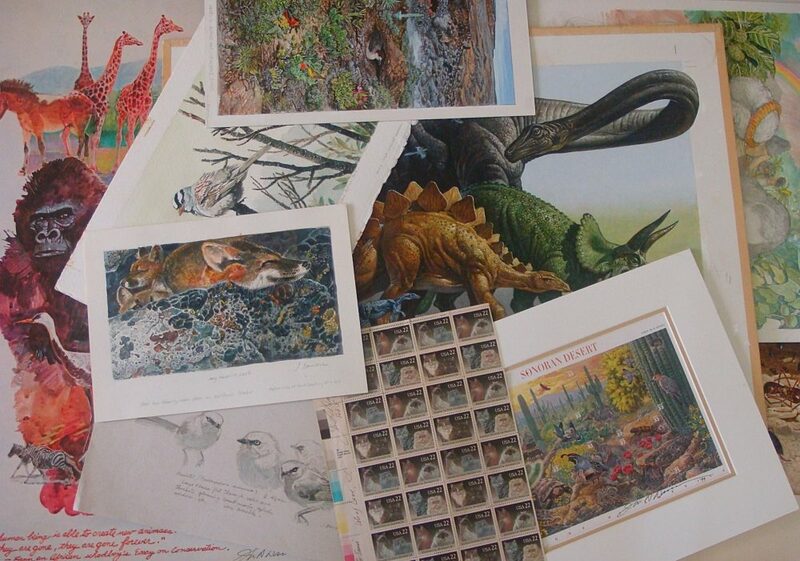 One of Dawson’s other proudest accomplishments is the Nature in America stamp series which includes a lively depiction of The Hawaiian Rainforest created for the United States Postal Service. Dawson’s resume also includes major assignments for the United Nations, U.S. State Department, Ranger Rick Magazine and the ‘Imiloa Astronomy Center, among others. “With decades of experience, this collection totaling over 600 individual works is quite diverse,” explains gallery manager Emily C. Weiss. “With subject matter ranging from dinosaurs to ants and up-close details to panoramic landscapes, there is certainly something for everyone. Some pieces have been stored in files for many years, while newer works are framed and mounted. This is the perfect opportunity to add an original John Dawson artwork to your collection,” states Weiss. Dawson was born and raised in San Diego, California. He graduated from the Art Center School, Los Angeles, California which is now The Art Center College of Art and Design established in Pasadena, California. John spent time in the Army Reserves while he worked on the beginning of his art career. Detroit, Michigan and automobile art kept him occupied for a year after college. He then returned to San Diego and did advertising art full-time for sixteen years while also doing free-lance illustration jobs. He and his wife Kathleen have called Hilo home for the past twenty-five years. The studio sale will open with a special preview to VAC members from 4-6pm on Friday, Sept. 14th and to the general public from 10am -3pm on Saturday and Sunday, Sept. 15 & 16, 2018.